Uber is officially a transport company and not a digital service, the European Court of Justice (ECJ) has ruled. The ride-hailing firm argued it was an information society service – helping people to make contact with each other electronically – and not a cab firm. The case arose after Uber was told to obey local taxi rules in Barcelona. 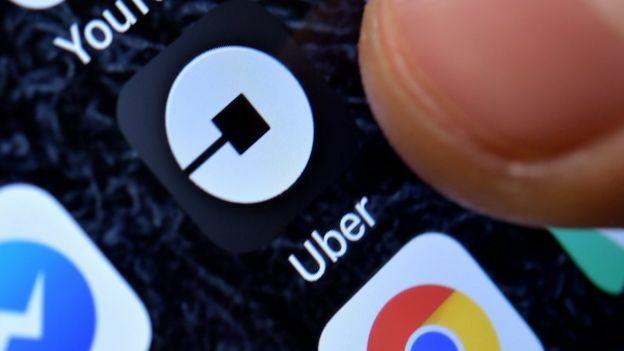 Uber said the verdict would make little difference to the way it operated in Europe, but experts say the case could have implications for the gig economy. An Uber spokesperson said: “This ruling will not change things in most EU countries where we already operate under transportation law. In its ruling, the ECJ said that a service whose purpose was “to connect, by means of a smartphone application and for remuneration, non-professional drivers using their own vehicle with persons who wish to make urban journeys” must be classified as “a service in the field of transport” in EU law. This ruling is another example of how the courts and regulators are struggling to make sense of the phenomenon known as the gig economy. Since Uber was first launched less than a decade ago, it has repeatedly fallen foul of regulators in different countries – and has frequently been forced to change its business model as a result. This ruling sets out clearly that Uber is, in legal terms at least, a transport company. Uber itself insists that there won’t be a huge immediate impact on its business, but it could still affect how it operates in future and how it liaises with national governments. Uber itself has previously said this will undermine the reform of what it calls outdated laws. On a wider basis, it could have implications for other gig economy businesses that try to portray themselves as little more than an app on a phone, connecting providers with customers; it appears the courts, so far, are taking a different view. That could ultimately have an impact, not just on ride-hailing services, but on other gig economy services – such as couriers and accommodation providers – who operate a similar model. TUC general secretary Frances O’Grady said the verdict meant Uber must “play by the same rules as everybody else”. She added: “Their drivers are not commodities. They deserve at the very least the minimum wage and holiday pay. The verdict comes after Uber was told last month that the appeal to renew its licence in London could take years, according to Mayor Sadiq Khan. Uber’s presence around the world has often been controversial, with protests staged against it in various cities. However, Rohan Silva, a tech entrepreneur and former adviser to David Cameron, says the firm has made competitors up their game. “Millions of people use these ride-hailing apps every day – not just Uber, but dozens of others too. They have brought real benefits, making it cheaper, easier and more convenient to get around the city,” he told Radio 4’s Today programme. He added that similar services could soon face regulation as a result of the ECJ ruling. “There could be big implications for a sharing economy service like Airbnb, which will probably be regulated by the EU,” he said. Prof Andre Spicer, from the Cass Business School, welcomed the ruling. He told Today: “Many people see the EU is actually leading the way in pushing back the almost unlimited power of tech firms and beginning to provide some limits around that. “We also claim this fosters competition, but what Uber’s model is based on is pricing, so much that they basically drove everyone else out of the market.